Here’s a new running mix that has been designed with a bpm that matches your cadence when running. About two years ago I first heard this kind of running mix from AudioFuel and found running to the beat a great motivator. Trouble is you can quite easily get addicted to it and end up listening to the same thing every run. Therefore I decided to give it a go myself and put together some interesting tracks. Sourcing the right tracks with the right bpm was a little tricky but I’m pleased I persevered. The mix starts out at a gentle 155bpm and raises to 162bpm through the first few tracks. For me this is a great cadence that pushes me a bit but I know some people (i.e. Bibi) like to go faster. Chi running recommends a cadence of 170+ but I just can’t sustain that. 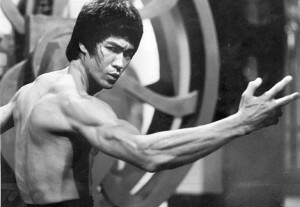 I’ve included some of Bruce Lee’s greatest quotes in the mix for some extra Chi inspiration; I think it fits quite well. « Savoury Breakfast Muffins – Two Recipes in One!